In 2016 five scholars published a paper on planet politics that criticized International Relations (IR) for not taking the Anthropocene and environmental concerns seriously (Burke et al, 2016). Written in the form of a manifesto, their criticisms of IR were timely. Since the 1950s IR, especially in its US form, was driven by immediate Cold War concerns of security and relations between great powers. Yet this IR of the later twentieth century superseded a more materialist IR that had flourished in the first half of the century. 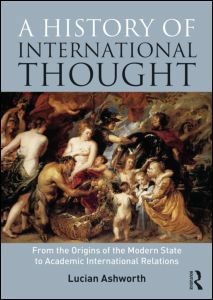 Part of this materialist tradition can be found in works of international political economy written by the likes of Norman Angell, H. N. Brailsford, Mary Parker Follett, Paul Reinsch, Helena Swanwick, and Thomas Parker Moon. Another part is made up of the international political geographers that were inspired By Ellen Churchill Semple’s imaginative adaptation of the work of Friedrich Ratzel.